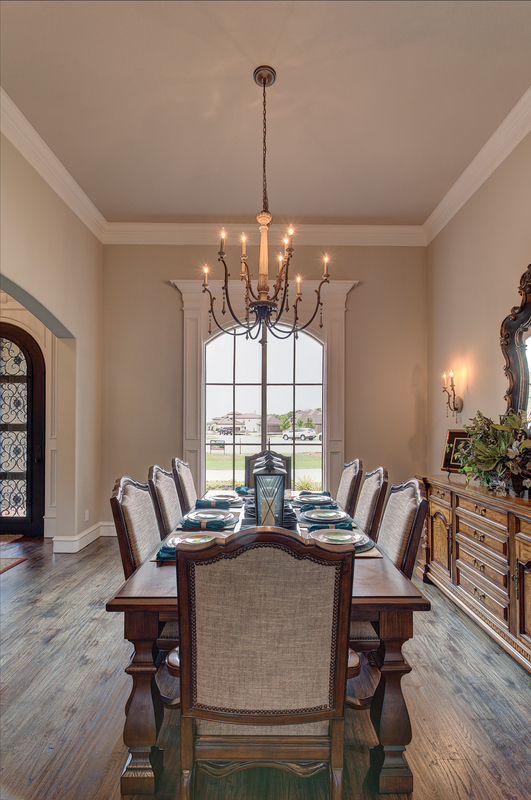 Just southwest of Fort Worth, John Askew Custom Homes built a lovely French Country retreat. The 4,400 square foot home was designed in response to growing interest in single-story homes with an open concept, yet warm and sophisticated style. 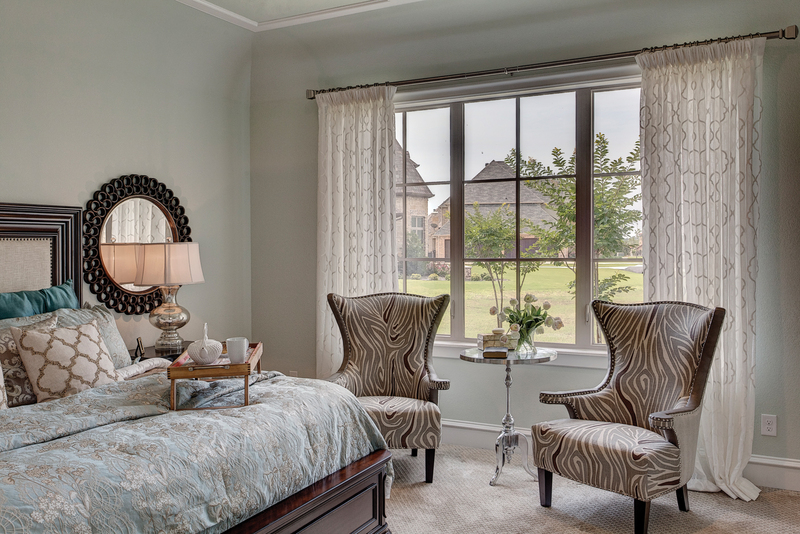 They selected Milgard® Style Line® Series vinyl windows for its slim-profile frames, yet energy efficient performance qualities. 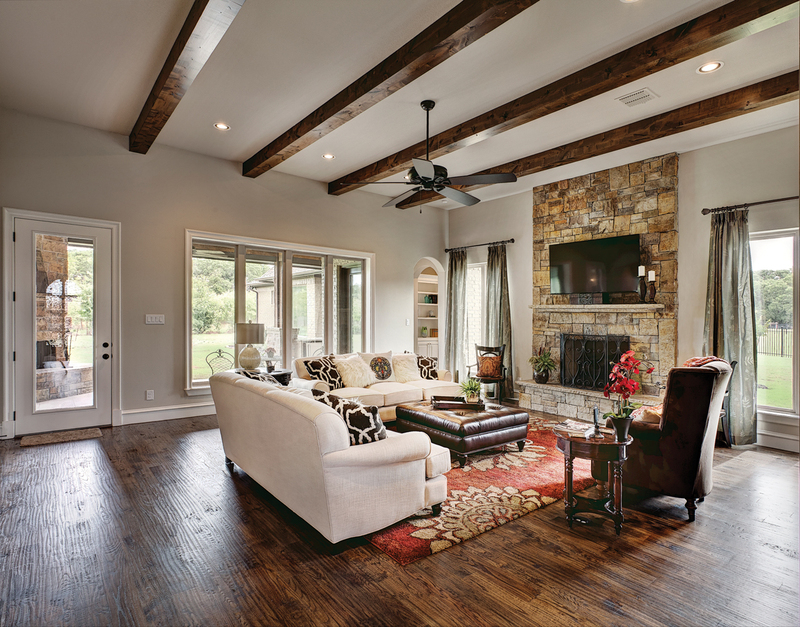 The tan color exterior frames added a warm, inviting feel to the home. 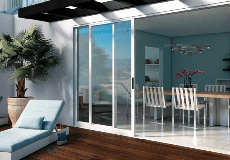 The living room has windows along each wall and a swing door that opens to the back patio. 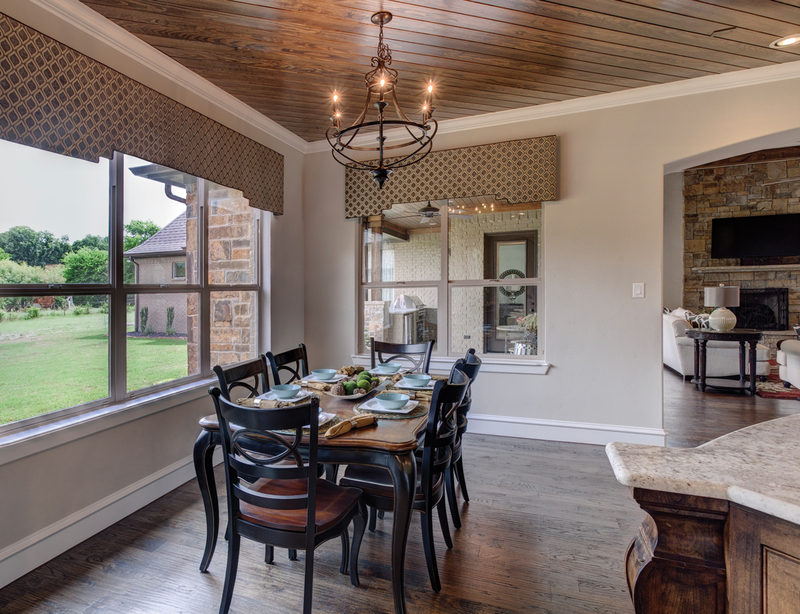 A large window with grids brings a touch of elegance to the dining room. The views look into the expansive landscape, a quiet place just outside Fort Worth.